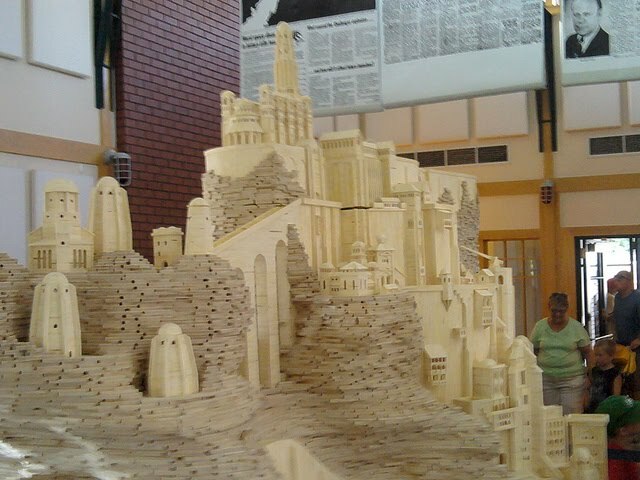 If you are a fan of the Lord of the Rings then the name Minas Tirith will be well known to you. If not, we won't ask where you have been for the last ten years but we would scratch our heads and look at you oddly. On Kuriosiatas, see, we're the normal ones. 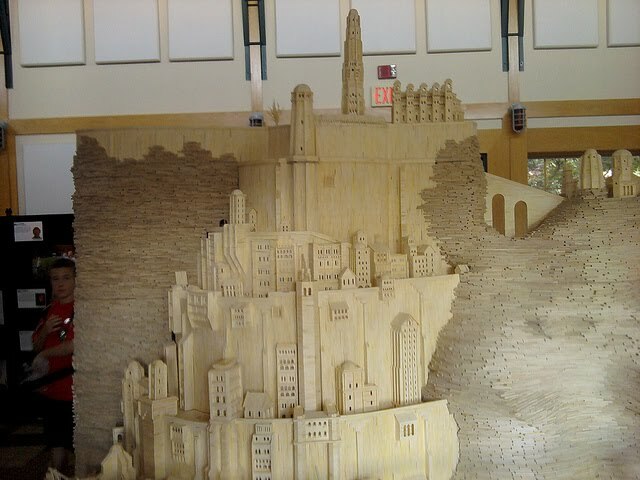 These shots taken recently at the Iowa State Fair show Minas Tirith made from matchsticks, something which would no doubt reduced any LOTR who saw it to an orgasmic mess on the marmoleum floor. The labor of love is the work of Patrick Acton, an artist from Iowa who you may recall from his fairly numerous TV appearances when he faithfully reproduced Harry Potter's Hogwarts in a similar manner. 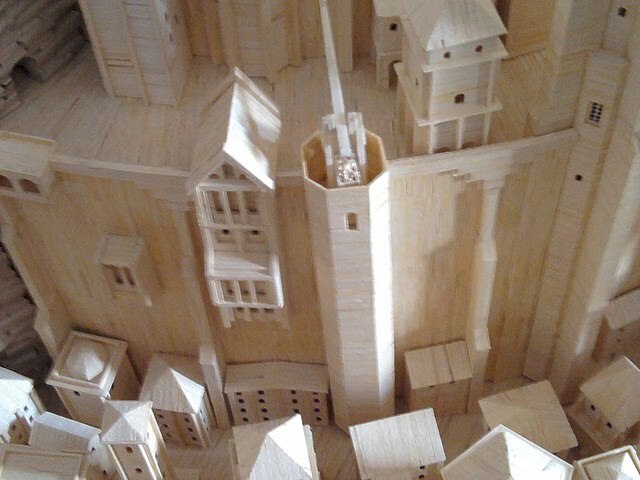 Now he has turned his attention to Minas Tirith - and what a beauty it is. Mr Acton is not a full time artist - most of his waking hours are devoted to his job as a Careers Counsellor. However, when he gets home after work he spends a few hours each night in his workshop constructing his latest masterpiece. He started his hobby in 1977 when he recreated a local church. It was a case of light the touch paper and retire as he hasn't really looked since. 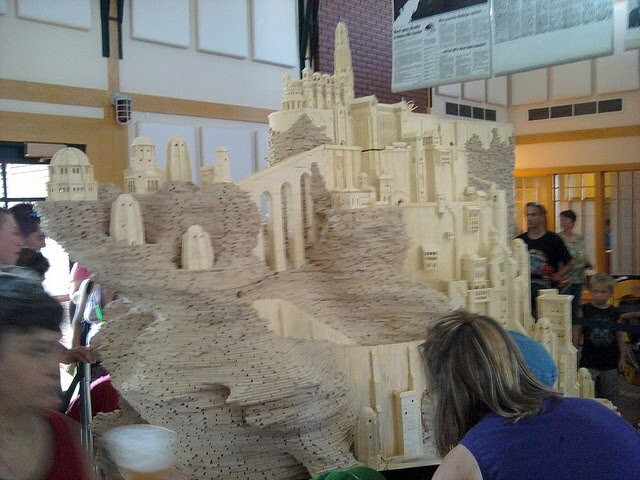 From his first model which was made from 500 matches - a tiny figure compared to the many thousands it takes to recreate something like Minas Tirith. 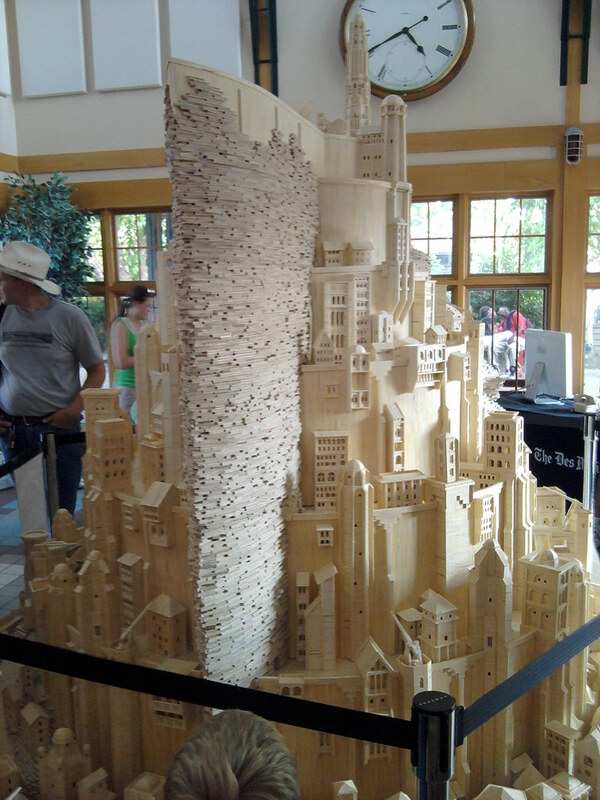 He uses non sulphur tip matches (a specialist hobby requires specialist materials) and has his own unique way of manipulating the matchsticks in to shape, through a process of crimping and bending done with pliers. 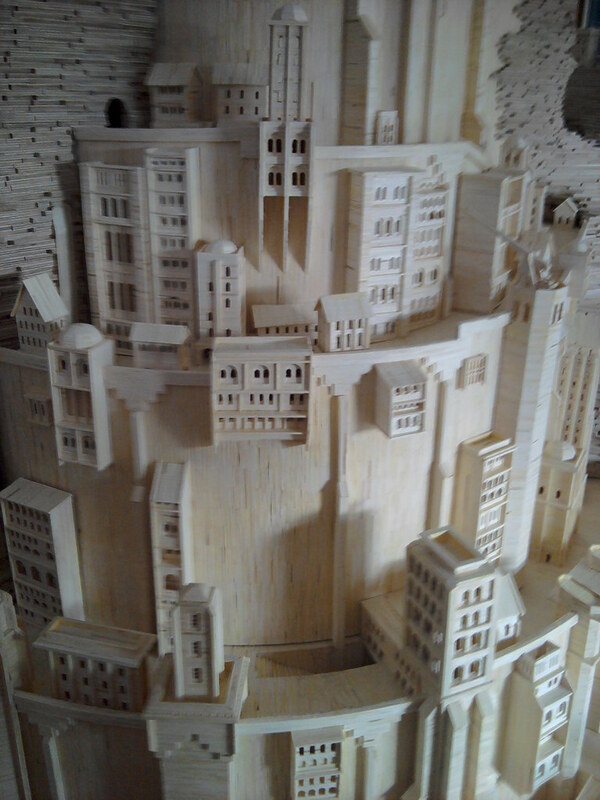 After the matchsticks are in place and the glue has set a light sand gives the finished effect. Altogether the attention to detail here is mind boggling. Fantastic! Lord Of The Rings fan? You might like this! 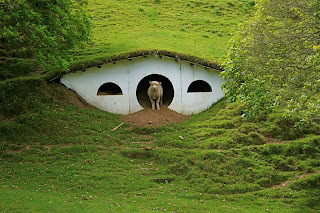 The set used to recreate The Shire in the Lord of the Rings movie trilogy has been invaded - and it's not by Orcs: something far worse has invaded the hobbits' homes - sheep!